Sylveon's greatest assets lie it in its phenomenal Special Attack and Special Defense stats. At 130, it's Special Defense is among the highest in OU, almost on par with Blissey's 135. 110 Special Attack is on par with Sylveon's older cousins Jolteon and Vaporeon, and is enough to dish out considerable damage even with minimal investment in offenses. Although it's not the titanic 130 HP Vaporeon has, 95 base HP is nothing to scoff at, either. Sylveon's typing isn't terrible either - while three resistances and an immunity isn't that much compared to some defensive Pokemon, it certainly never hurts to be immune to Dragon-type moves. Sylveon's solid stats are backed up by a movepool with several great defensive, offensive, and support options. Wish/Protect can be used to run a Wish Passer set similar to Vaporeon, while Moonblast/Shadow Ball provide a strong Fairy-type STAB and good offensive coverage. Moves such as Toxic and Substitute help Sylveon stall opponents, and Sylveon can even learn Calm Mind to run a boosting set. This wide variety of moves, however, also prove to be a hindrance to Sylveon. 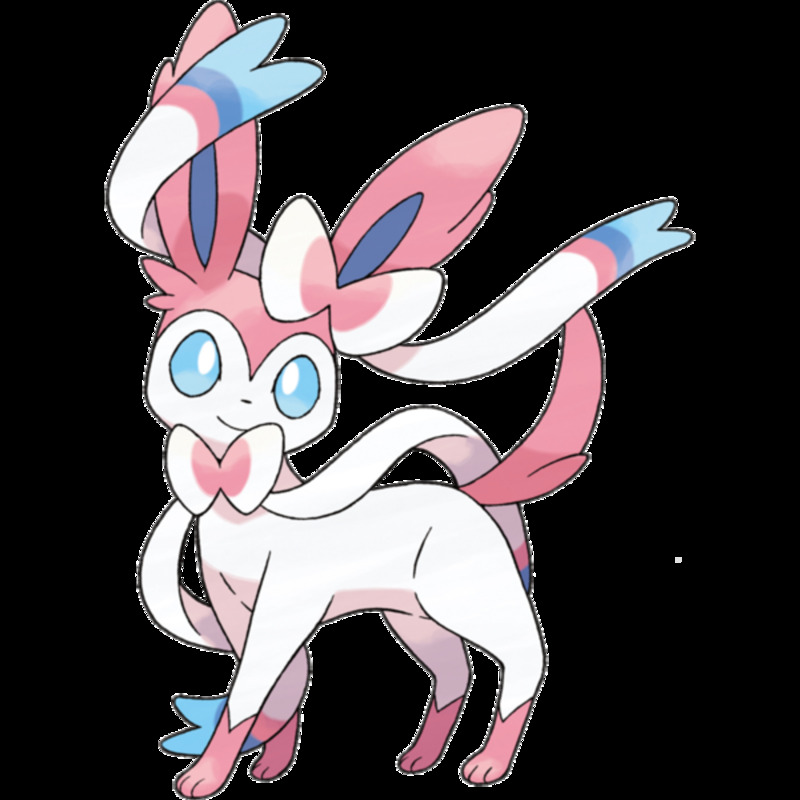 While it has a number of great moves that let it run a variety of different sets, Sylveon often finds itself having four-moveslot syndrome - that is, it's a Pokemon that really, really wants to run five moves but has to limit itself to four. Wish/Protect/Moonblast/Toxic lets Sylveon act as a great Wish Passer and stall Pokemon like it's Water-type counterpart Vaporeon, but a Sylveon running this set would love to also have Shadow Ball for great offensive coverage and to prevent it from being completely useless against Steel-types. However, by swapping any of its other moves with Shadow Ball, it reduces its effectiveness as a stall or Wish Passer. Sylveon's abilities aren't the greatest either. While Cute Charm may come into play every now and again, as a whole it's really more of a gimmick than anything else. It's hidden ability, Pixilate, on the other hand, sounds phenomenal - converting all Normal-type moves to Fairy-type and dealing an extra 30% damage on those moves. While Pokemon like Mega-Gardevoir can greatly benefit from Pixilate, Sylveon unfortunately lacks the moves needed to truly take advantage of this ability. The strongest competitively viable Normal-move Sylveon has is Fustration/Return, which Sylveon can't make use of due to a low Attack stat. 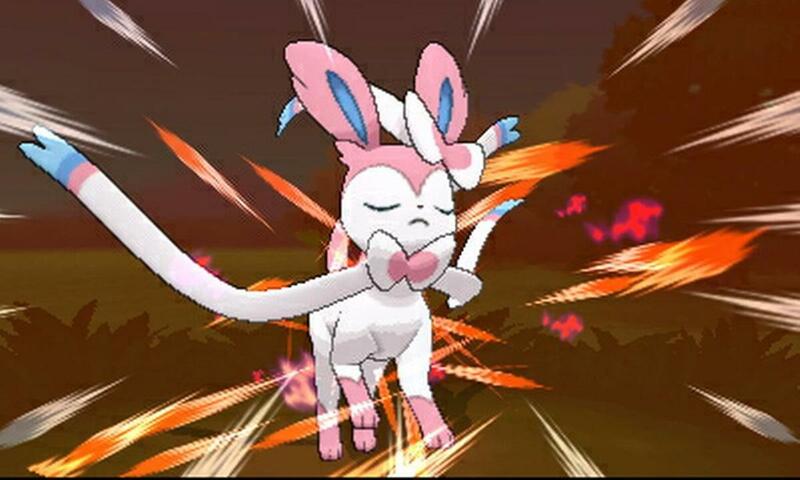 Unlike Gardevoir, Sylveon doesn't have access to a special Normal-type move that can fully take advantage of Pixilate. EDIT: Actually, Sylveon can learn Hyper Voice as an Eevee through the Move Tutor in Gen V, which makes PIxilate very viable on offensive sets - it deals more damage than Moonblast and hits through Substitute. Thanks to Mica for pointing that out in the comments! As a whole, Sylveon is very similar to its Water-type counterpart Vaporeon. Both have great defensive stats, a very usable Special Attack, and a movepool with several great options for defense, offense, and support roles. Considering all of that, it would make sense that Sylveon can fill a similar role as Vaporeon as a Wish Passer. While Vaporeon is a bit more effective as a healer due to a higher base HP stat, Sylveon is able to make up for this loss in support capability with additional offensive and defensive potential. Moonblast hits a bit harder than a Vaporeon would using Scald, and Shadow Ball provides stellar coverage. On the defensive side of things, Sylveon compensates for its lower HP stat with its phenomenal Special Defense and with a slightly improved Defense stat over Vaporeon. Sylveon's typing is also slightly better than Vaporeon's, with one less weakness and an additional immunity (to Dragon-types, no less). Like many other of Sylveon's sets, however, this set suffers from four-moveslot syndrome. Wish and Protect are required for passing Wishes and giving Sylveon a reliable means of recovery, and Moonblast is Sylveon's best attacking option with it's high base power and chance to drop the opponents Special Attack. For it's last move, though, Sylveon has three great options but must pick one. Like Vaporeon, Sylveon can run Toxic as its last move for additional stalling and defensive capabilities, but in doing so loses out on the coverage from Shadow Ball. Without Shadow Ball, Sylveon has no options against Steel and Poison-types, who resist Moonblast and are immune to Toxic. Conversely, without Toxic, Sylveon can't do much against many specially-defensive Pokemon who have no problems taking a Moonblast or Shadow Ball. Which move you pick will ultimately come down to whether you want your Sylveon to have a greater offensive or defensive presence. Alternatively, Heal Bell can be used in the fourth slot to give Sylveon additional support capabilities. Hyper Voice, along with the Pixilate ability, is an option over Moonblast for a more powerful STAB, but Sylveon loses its ability to cripple special attackers through Moonblast's SpA drops. The biggest difference this set has versus a similar Vaporeon set is which type of moves you want to wall most effectively. With it's massive Special Defense stat, and Moonblast's high chance to lower the opponent's Special Attack, Sylveon excels at tanking special damage. Conversely, despite a slightly lower base Defense stat, Vaporeon's chance to burn with Scald lets it cripple physical attackers. Oftentimes, whether you wish to use Sylveon or Vaporeon will come down to what attacks you want to tank most effectively. This set aims to take advantage of both Sylveon's bulk and great offenses. Leftovers, along with a Bold nature and a defensive EV spread, let Sylveon take several hits as it gathers Calm Mind boosts. If more immediate power is desired, however, Leftovers can be replaced with either Life Orb or Pixie Plate, and a more offensive EV spread can be used with a Modest nature to give Sylveon high attacking power out of the gate. Substitute gives some additional bulk and helps Sylveon safely gather Calm Mind boosts. If a more offensive set is being used, Substitute can be replaced with a third attacking move such as Hidden Power Ground for additional coverage and attacking power. If Substitute is used, then either Shadow Ball or Hidden Power Ground may be used for Sylveon's second attack. Shadow Ball deals more neutral damage, and has a chance to lower Special Defense, but HP Ground hits every type that resists Moonblast (Fire, Poison, and Steel) for super-effective damage. This lets Sylveon hit many of its counters harder than it could running Shadow Ball, despite Hidden Power having a lower base power. 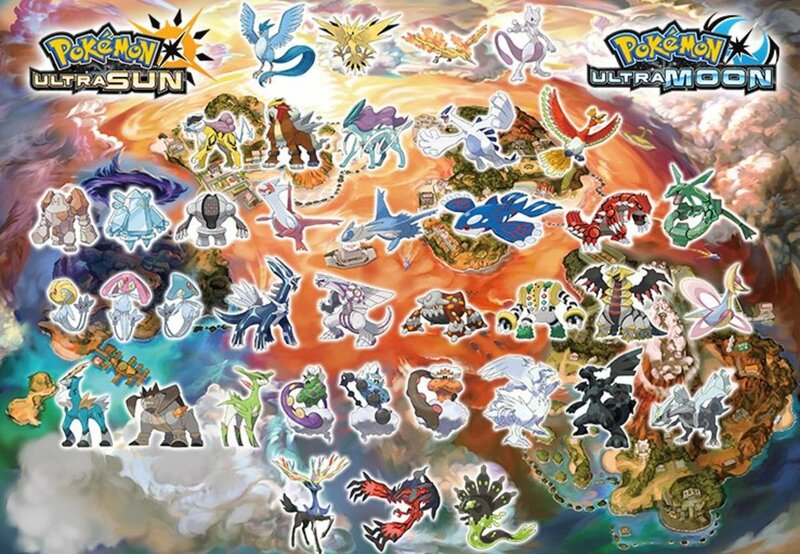 One thing to note about this set is that, with the exception of variants running Leftovers, Sylveon has no means of recovery. Wish can potentially be used in place of Substitute to provide some recover, but without Protect or a similar defensive move, some prediction is needed to ensure that Sylveon actually survives long enough to be healed by it, and Protect can't be used in partnership with Wish without giving up Sylveon's crucial coverage move. Baton Pass is also an interesting option on this set in place of Substitute to allow Sylveon to pass its Calm Mind boosts when close to fainting. Which Sylveon set do you prefer? Overall, Sylveon is one of the more interesting Fairy-types brought by the latest generation, with great defensive stats, a solid Special Attack, and a movepool that lets it act in several different roles. Depending on the set it's running, Sylveon can serve as either a great tank with support capabilties, or as a strong attacker with great bulk. While it may not be the same top-tier threat as other Kalos Pokemon such as Aegislash and Talonflame, Sylveon has the movepool needed to fill a variety of different roles on any team. Reason: To start off with with reflect adn Light Screen to help your team as well as Wish to heal damage team mates. Moonblast for damage. this moveset revolves around last resort (STAB + life orb + pixleate) in this set last resort has a base power of 300! i know the moveset isnt the best but its pulled through alot of doubles and friendlies as well. I think Draining Kiss really suits Sylveon. You know what catches people off guard? Using a full team of eeveelutions. 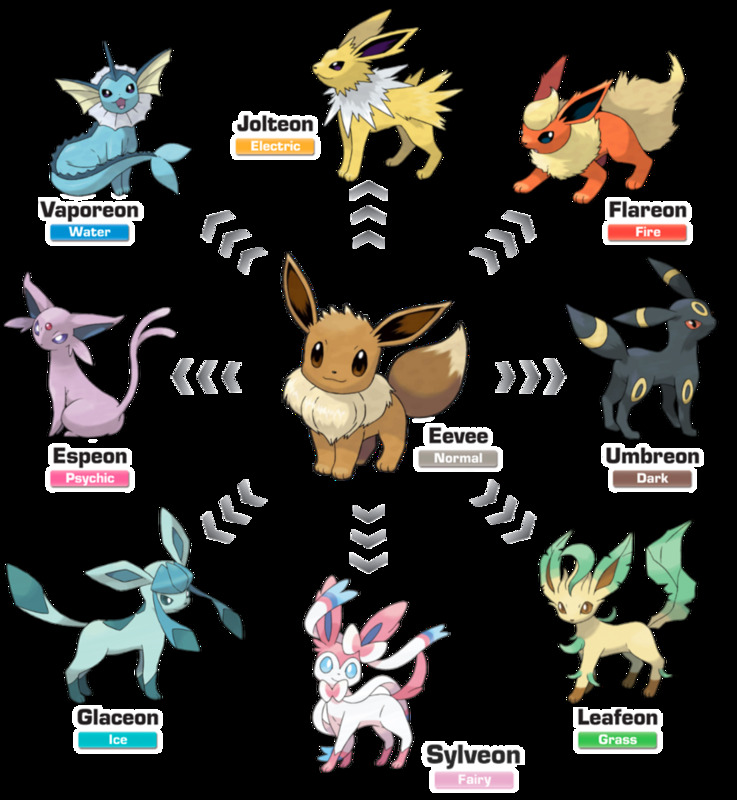 Please make a guide for all of them, especially Espeon. I use what I call: Fast Food! This is my Showdown Move set because I'm horrible at EV training in X and Y and in Showdown you can pick any legal moves and set you EV's and IV's for Hidden Power! Hyper beam- Pixilate makes this ohko almost anything. Use when you know you're going to die. As long as you've killed off the big physical attackers on their team, this set pretty much ensures a victory. Special sweepers are walled so hard and go down quick after 1 or 2 draining kisses. - EVs: 252 HP, 252 Sp. Def., 4 Def. Yeah, some items aren't the easiest to find. Either that or they require grinding battle points. I wasn't 100% sure that it learned Hyper Voice, I thought it did but couldn't find confirmation anywhere. Hyper Voice + Pixilate is definitely better than Moonblast - more damage and hits through subs. I'll slash it on the Calm Mind set. I feel like the SpD EVs on your build would be better placed in Defense or HP, though. Between Calm Mind boosts and a base 130 SpD Sylveon really doesn't need any additional investment in SpD, it would prefer more overall bulk from EVs in defense or HP. Due to how damage is calculated, putting EVs into the lower defensive stat is always more efficient than boosting the higher stat even further. The lack of offensive coverage also concerns me, but Sylveon appreciates the recovery from Wish too so it's kind of a toss-up there. Not a bad set though, SpD EVs aside. Thanks for sharing!